AppointmentSPARROW WEALTH MANAGEMENT is an independent Registered Investment Advisor in California, Nevada, Pennsylvania, and Texas. We provide low-cost investment management and fee‑only financial planning services for clients nationwide. Our mission is to help you find freedom and peace in your financial life. Working with a fee‑only financial advisor helps you avoid the conflicts of interest that are so common with commission and fee-based advisors. We do not accept compensation or financial incentives that may bias our recommendations. 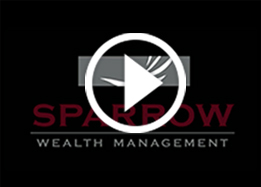 Sparrow Wealth Management acts as a trusted fiduciary for our clients by putting your best interests first. Sparrow Wealth Management has no minimum account size for investments, and we offer lower fees than most of our competitors—especially major banks and brokerage firms. We provide financial planning services for a low monthly fee, as well as the option to receive advice on an hourly basis. Click here to schedule your free discovery meeting!